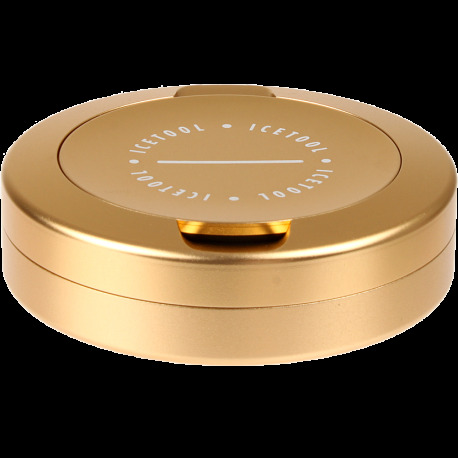 The Icetool Lid Box for portion snus ("The Can") is made from a solid piece of aluminum for strength and light weight. The catch lid area is huge. NASA-style gaskets keep your snus 21st century safe and fresh. In fact, if your plane is going down quickly and the oxygen masks have popped out, the gaskets used in the Icetool Lid Box for Portion Snus gives your snus a better chance of survival than you have! 9 Days of Snus Deals! This is a great product. It's not as robust as the General Waterproof Editions, but it's much classier, and easier to access your snus, since it's a pop-off, instead of screw-down lid. You can keep a supply of loose in the main area, and a few portions in the other, if you are willing to eschew its use as a disposal area. I can keep a supply of General loose, and some Licorice portions, too, all in an airtight container set that is stylish and functional. Great product. The main compartment has an o-ring and there is an o-ring for the used compartment lid. This is a well built can. I submerged it in the sink and it is waterproof so I am sure it will keep my snus fresh and protected. It is a bit pricey but the quality is clearly evident. I received this last week and wanted to try it out before writing the review. First off, yes it does have two seals, one for the main compartment and the other for the small container in the lid, used for disposal of used pouches when not available to us trash can. It is very solid and well build. The main compartment is fairly small but can hold about a 1 - 1 1/2 cans of the minis. So, no real impact regarding size. For regular users that take your snus everywhere like me, it's a great accessory. Though expensive, I have not doubt it will last. CAN SOMEONE TELL ME IF THIS CAN HAS 2 RUBBER SEALS? 1 out of 4 people found this review useful.